The Instagram is one of the popular social media after Facebook. Lots of people share millions of videos and images every day to connect fans, friends, and consumers. But one thing that restricts by the Instagram is the downloading of the videos and images of friends or any other user of Instagram. 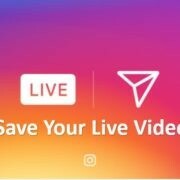 We already have created an article in which we mentioned how to download the live videos of Instagram, you can check it out. 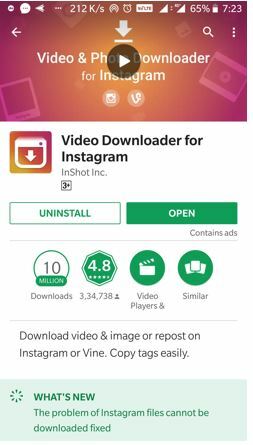 Now, here we will let you know the simple way to download any Instagram video or image directly to the Android phone with help of a nifty app. 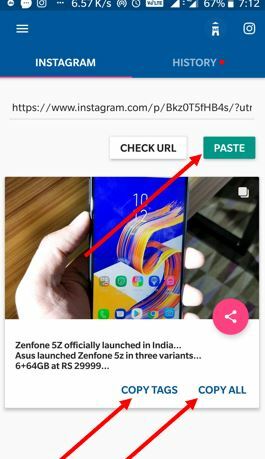 Moreover, you can also copy all tags and text as given in the description of the video or image to share it on your own Instagram wall. In the search box type Video Downloader for Instagram or use this link. After downloading the Instagram video downloader app; Open your Instagram. 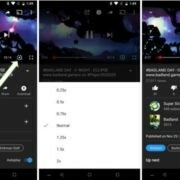 Go to the video or image that you want to download from the Instagram. You will see a vertical three dots on the right top side, tap on that. A menu will pop-up, tap on the Copy link option. Now go to the downloaded Instagram video downloader app and open it. As soon as you open it, the app automatically detects the Instagram video or image URL and start downloading it. In case it not then just tap on the paste button. 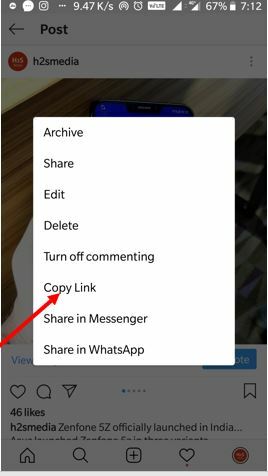 After downloading the video or images from Instagram; if you also want to copy all tags and text given in the description then just tap on the Copy All else Copy tags (only to copy Instagram image or video tags). 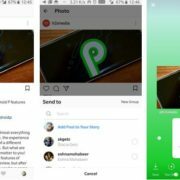 In this way, you can easily download the videos and images from Instagram on your Android phone. Screenshots for above steps for clarification. Go to the Image or Video post and tap on the three dots. Tap on the Copy link. Open the Video downloader app and tap on Paste button. 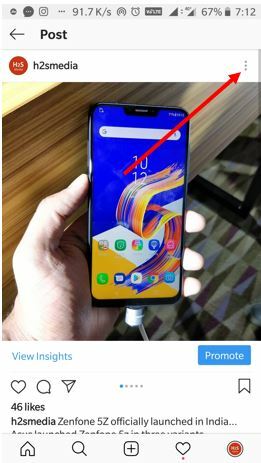 Copy tags and Copy All text button have also given there. 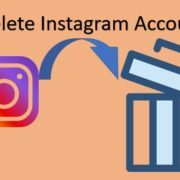 How to delete Instagram account permanently?